Comments: Nice and sweet with Bourbon but still balanced due to heavy dash of bitters. Comments: Dry, not too sweet and a little on the small side. Comments: I totally stole this recipe from Reserve 101 and it now my "go to" homemade recipe. A little sweet, need to try with rye. 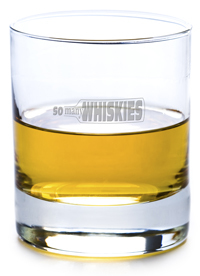 My increasingly rare blog postings have evolved more recently into me trying to consolidate my various responses, postings and comments from the various online whisky forums that I frequent into a single (hopefully coherent) position on the burning whisky issue of the day. I have noticed in these forums that I often find myself out of step with the online (generally very nice) whisky online community. Recent examples of this include the uproar over Makers Mark ABV reduction and the furor over Balcones owner’s decision to remove Chip Tate from the company. I am clearly a contrarian, I freely admit that and I have always shied away from the herd at every opportunity. I like to seek the other point of view and I don’t accept very much at face value (except perhaps cash). So perhaps I should embrace this as my role in in the #whiskyfabric? My thoughts these days have turned to the waning Compass Box campaign to “increase transparency” and their online petition to change the SWA / EU regulations that govern such things. The immediate reaction from the online community to the news that one of the recent Compass Box whisky releases fell foul of EU laws was so strong and full of the righteous indignation that only whisky bloggers can generate that my contrarian response kicked in like the Millennium Falcon’s hyper drive and I posted several questions and comments on various online sites that as yet, I feel, have been largely unanswered. Perhaps you would like to try? Firstly anyone who can tell me that this was an issue they cared about before this one, and to my knowledge only, highly publicized recent example, please feel free to send me any blog posting or magazine articles that clamored for more transparency and EU law changes. They will be gratefully received and I will publish on this website along with a full apology with links to the aforementioned blog posts. That some people are furious about an issue they didn’t care about three months is slightly ridiculous to me. If it didn’t matter then why does it matter so much now? Which brings me to my next question; am I the only the only one who is slightly cynical about the Compass Box motive for leading this campaign? They are painting themselves as the industry outsider, fighting against “the man” (as someone much more eloquent than me put it on one forum), helping the consumers who are being denied information they desperately need by faceless government drones and setting up a petition all of which just so happens to deliver a fantastic marketing and brand coup to Compass Box and drive lots of extra web traffic to a Compass Box website. The really cynical would even suggest, with hindsight, it would have served Compass Box well to be the “mystery industry insider” who informed the SWA in the first place and generated all this lovely (and free) publicity. Stranger things have happened in Marketing and as I recall John Glaser came from Diageo Marketing rather than distilling or blending? To be clear I don’t think this is what happened, but you have to admit it would have been a stroke of utter genius if it had. At the very least they have spun it brilliantly and made lemons from lemonade (just please don’t make any more Orangerie). Finally I have challenged everyone to step back, and think about this from the average whisky consumer perspective, rather than the very narrow perspective of the whisky blogger. Of course the blogger wants to know the exact make up of his bottle and can differentiate the difference between a blend containing some 40 year old whisky and a 40 year old blended whisky. But can the “man in the street”? Perhaps I am being patronizing and harsh and making unfair assumptions about the average consumer. I admit that thought occurred to me, but then I looked at the current US primary election and that thought stopped occurring. To the whisky savvy (as anyone reading this incredible obscure blog is bound to be) I would I contend your demand for transparency opens door to abuse, confusion and resentment. All the reasons the current legislation were put in place as certain people chose to emphasize the age of some of the whiskeys in their blends. As I have said before, one man’s “transparency” is another man’s “confusing jargon” and I am not convinced that “full disclosure” is the real answer and is really a better solution than what we have now. No system is going to be perfect and as I stated earlier pretty much no –one seemed to have much of a problem with current system until one whisky came along…. Recipe: Menu offered Classic and Perfect Manhattan. This was the Classic. Garnish: Not 1, not 2 but 3 cherries! Comments: High price for standard cocktail (welcome to Singapore) but very good, so I had two! Comments: Mixed for me upon request, not on cocktail menu. Good but great which was a small surprise as I really like Sazarac rye. A classic American whiskey brand. The nose has vanilla, caramel and some sweet candy notes, almost bubble gum. The taste does not quite deliver on the sweetness and vanilla in the nose, though they are there, the taste is more woody. The finish is quite drying, spicy and oaky and there is some pepper, presumably from the high rye content used in Jim Beam.